The video above shows off the features of the Manfrotto 561BHDV (available here via Amazon) . The tripod-like foot is a huge advantage when it comes to stability during video capture. 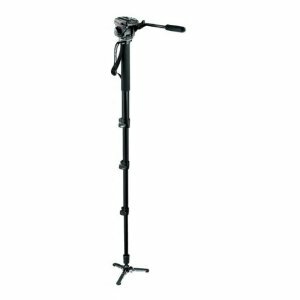 Now Benro is opening up new options with a few video monopods that are designed specifically for video shooters (as seen below). The stable foot design is similar to the popular 561BHDV , but not quite exactly the same. 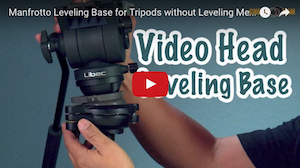 The video below explains some of those differences between the video head and tripod foot. The 561BHDV is a much heavier and longer unit and offers a fluid cartridge at the base. You can opt in for a head on the 561BHDV, but the head that is included does not have a pan feature (left/right) to be used as a normal video head. 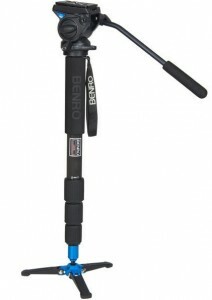 The new Benro systems on the other hand are being bundled with a variety of different monopods in aluminum and carbon fiber and your choice of S2 or S4 video head. The Benro S2 or S4 are not the most professional, but they are actual functioning video heads with a full panning feature to be used with any video tripod (or with any Video Slider or camera Crane). Quality wise, the 561BHDV feels like the heavier more robust unit, but the new Benro video monopods are a good alternative with it's lightweight carbon fiber option and collapses down a bit shorter than the Manfrotto. Even at the shorter minimum collapsed length, my 4 section carbon fiber Benro can telescope to the same height as the Manfrotto up to 6.5' feet. 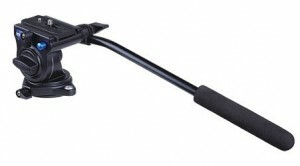 I had purchased my set of Benro Video Monopods with ball socket tripod foot via eBay (Click Here). 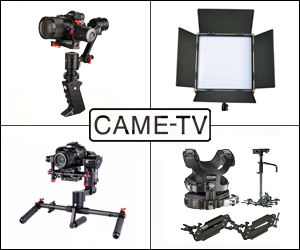 Posted in dslr stabilizer, dslr video, Equipment Reviews, Tripods, Videography Gadgets. 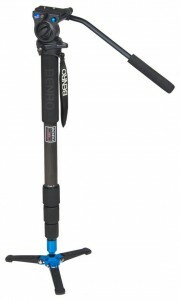 Tags: Benro Monopod Foot, Benro S2 S4 Video Fluid Head, Benro Video Monopod on March 11, 2013 by Emm. I love it but the thing is I travel a lot and I don't want to checkin stuff - now 1 option was to sell this and get a mefoto travel tripod but i really like it and was wandering if someone could tell me if I can dismentle this monopod and make it smaller for travels. What are the heads compatible system S 4 - similar Manfrotto 577 or 357? Interested interchangeable removable pads. Emm, how does the S2 compare to the notorious WF-717AH fluid head ? @Jeremy - Yes it will, it's also stated right at the beginning of the video. I was wondering if you can tell me if the Manfotto 501PL sliding quick release plate will work with these Benro Fluid Head? From the video, they look pretty similar. I didn't know that but the store in Tokyo carried most of the products from Benro so I did checked each monopod(carbon and aluminum)and all S series head, S2, S4, and S6, one by one. And to be honest with you guys, that S4 head from Benro was far from good if you compare with Manfrotto 701HDV. 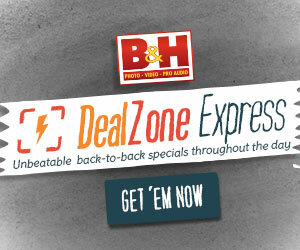 you can save $$$ and get almost the same quality of 561BHDV1. @Stefan Mesaros - On the one I have you cannot remove the feet, but there may be a future upgrade. Well, I ordered a A48TBS4. I have been wanting a 561, but I cant justify the "dedicated" head. I really need a better head then my 501 classic sticky head. 209 shipped... we will see how it goes. @Jon - I have to say the 701 still feels like the better head. As others have already asked: How is the fluid S4 head compared to the 701? I love the 701 feel and especially the spring tension on extreme tilts and how it smooothly returns to horizontal level. I shoot a lot of weddings with the 561 and depend on it greatly. The Benro S4 with carbon tubes looks very interesting if they now have added fluid panning at the base too! Please how is the panning on this Benro now that you've used it for a while. I'm trying to figure out which has smoother panning since Benro pans from the head and Manfrotto pans from the base. I don't think you addressed that yet. Also anyone that's used it what do you think? 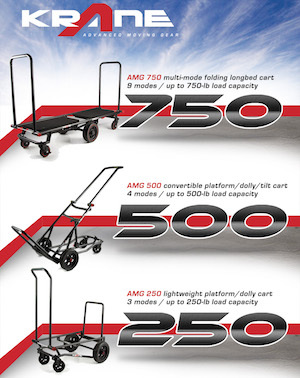 @Al Dolega: The 502HD can use a 501 or 701 plate, just that its own is longer. @VanWeddings - but doesn't that just cause you to actually perform the pan from the ball joint instead of the fluid cartridge? 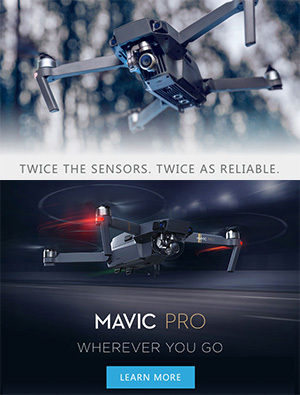 Manfrotto wins hands down in my opinion. @emm - thanks for the info on the benro heads! @BMD - a little bit of WD40 or grease into the ball joint smoothes it out for a while. the monopod won't stay upright by itself as much, but i wouldn't leave it free standing anyway. Emm I would love if you would review the Benro S6 head! I've been looking at it as an upgrade to my 701HDV but the S6 is so new that I haven't seen many opinions on it. Also, I've always read that the 701 DOES have a true fluid cartridge, while the 501 didn't. I'm not interested in the 502 or 504 as they're huge, pricey, and apparently don't use the 501 plate. I have the 561BHDV1...and I love it except for the mini "jumps" others have reported due to the panning in the foot. It works about half the time...but sure enough, just when I need to to pull through...I will be panning on a shot and there is a little jump in the footage due to the cartridge sticking. Has anyone been able to solve this problem? I'm guessing the Benro won't have this issue since it's a normal pan/tilt video head. Emm...do you feel like that feature makes the Benro a better choice over the Manfrotto? Too bad there wasn't an alternative that just had the monopod and mini legs. That way you could use your own video head. The Benro's look good but I'm not a big fan of the screw type locking sections. After watching this I just bought one through your Ebay link. I have been a Monopod user of Manfrotto with the model before the 561BHDV1. I broke the feet on the first one and then bought the new model because the cost replacing the feet was almost as much as a new one! I use the Monopod at least 90% of the time in most of my projects that are usually events and some promos. The stuff you can do once you get used to it is amazing. By the way I originally used it on my Sony EX a much heavier camera then my 5D mk3. Benro is also great with warranty. I have a small carbon tripod I bought for travel and the sleeve inside one leg broke, I told them and said I could replace it if they sent me the new sleeve and there t was a few days in the mail. Vitec group will need to step it up and either lower prices, make parts lower cost when they break or better warranty. All will play a factor in their future. @N Smith - The S4 and 701 use a fluid drag movement, but don't actually have Fluid Cartridges like the more expensive heads like the 502. The S4 feels lighter than the 701 in build quality. The only issue with the 502HD is the weird ergonomics of where they place the pan and tilt locks. So if that bothers you, you will have to move up to the 504 which is huge. I know you will be doing a full review later but I have my finger on the trigger. So how does the s2/s4 compare in smoothness/stickyness etc to the 701 manfrotto head? @VanWeddings - I feel the Manfrotto build quality is better than the Benro video heads. emm - i'd be very interested to know how the benro s2 and s4 heads stack up to the usual manfrotto 701, 501 and 502. i was seriously considering them as my jib head but there was very little information on them. @kelly - I am here at wppi. I will see about going there for a quick interview. emm, you should do a review on Carry Speed's MOGOPOD. Looks like they have some in stock now. I have the Manfrotto monopod. I didn't really buy into the concept until I shot a wedding with it. After a few more events, I am full on board with the feet, the fluid head on the bottom, and the whole monopod for video concept. It's my base accessory, all the jibs and glidecams are just extras. Both the Benro one in the article and the Sirui Henry mentioned look like twist locks for the sections. The manfrotto has this paddle lock that makes it much quicker to adjust. During events like weddings, though, sometimes even that isn't fast enough. 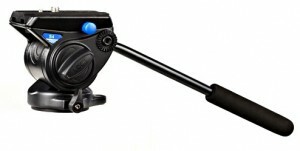 The neotec ones by Manfrotto are wickedly fast (my brother uses it when he seconds for me), but no fluid head. Why would anyone buy these generics when they are as much or more than the well know. Manfrottos? @Ian - It did not fit in my carry on case. I am probably looking at the C49TBS4 as I really like the height. Good thing my viewfinder will point straight down. I personally (not by testing) didn't like the idea of the fluid head being in the foot of the Manfrotto. And I do like the price with fluid head. Trek-Tech TrekPod XL Essentials Kit although it has more options, doesn't seem like a good option either. Looks a lot like the Sirui P-324X and P-424X Photo/Video Monopods. Emm, I'll looking forward to hearing your feedback after you get back from Vegas. I like that it's a bit lighter than the Manfrotto. I wish Benro would have made a locking foot option for more stability when needed.